The Sterling Evolution Aero Bicolour 9.2mm Climbing Rope is ideal for sport and mixed climbing thanks to Sterling’s DryCore treatment, which protects the core from the elements. The Sterling Evolution Aero Bicolour has a visibly different pattern in the middle of the rope so you always know when you’re nearing the end. It’s also the lightest single rope in Sterling’s Evolution series and is built with a tough and durable sheath and a new lightweight core to provide the perfect balance between light weight and smooth handling. 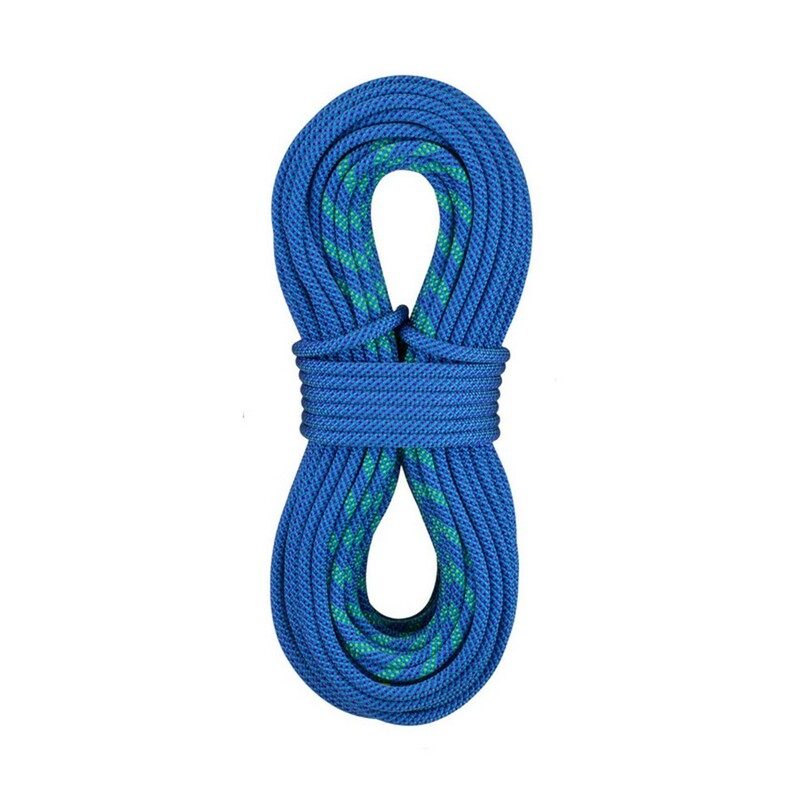 If you ever needed a rope to send a new project on, it’s the Sterling Evolution Aero Dry.